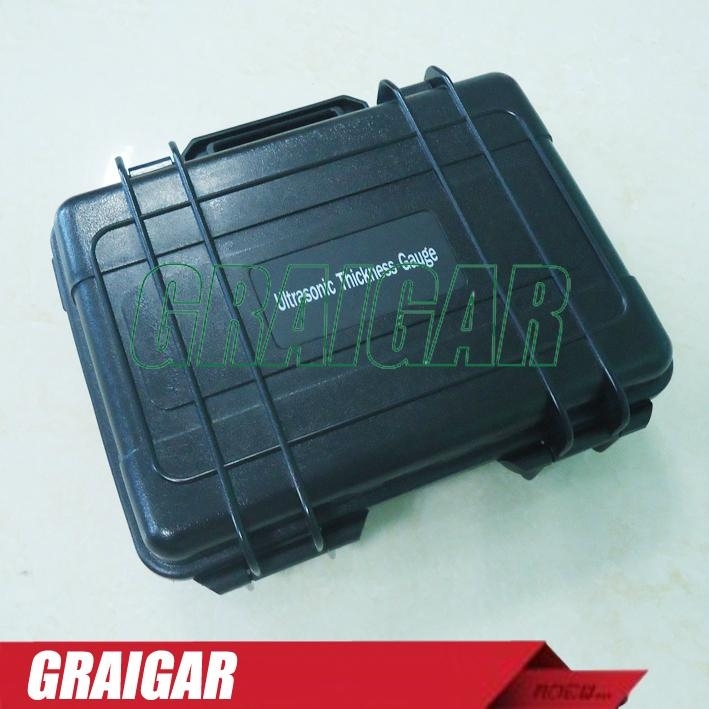 If the ordinary thickness gauges are incompetent in the rough applications. Please turn to our UM-5, which will maximize measurement performance for challenging applications and provide you with the cost-effective measurement solutions. For some conditions, the above situations could not be satisfied,for example, the highly corrosive near surface, coarse-grain materials (e.g. cast iron),aluminum, small diameter pipes, super thin sheet, super thick plate, rough surface, nonuniform inner structure, defect contained workpiece, lamination and so on which could not be tested by the ordinary gauges. User could directly see the color waveform of the ultrasonic sound (or A-scan) on the screen, which is quite important for the occasions that we need to check the correctness of the testing results. Many cases will cause wrong testing results or even no readings. We could find the causes easily through the A-scan. Adjust the three parameters of GAIN, BLACKING, GATE, and then we will get the right readings.The uses for waveform: testing the correctness of thickness readings, finding out the causes of impacting the testing, and adjusting the parameters to solve the problems. 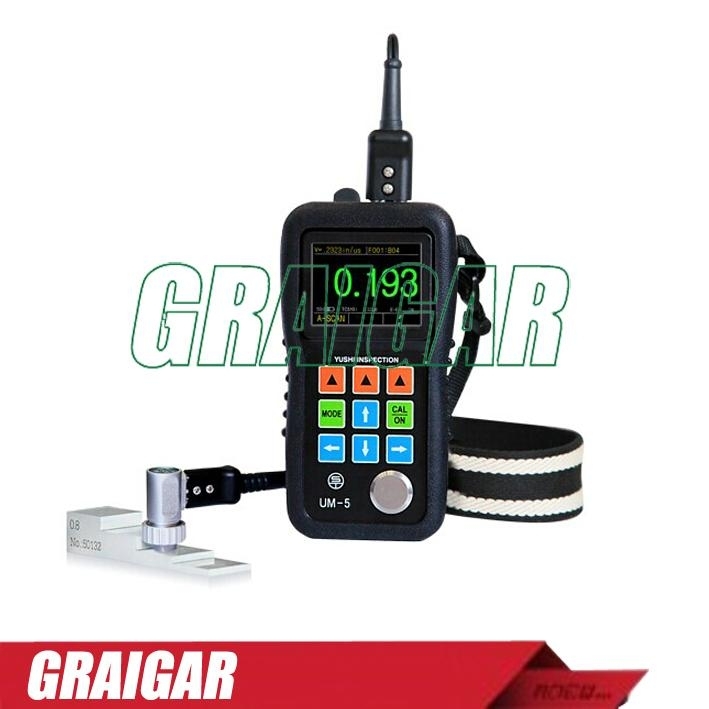 UM-5 series thickness gauge has time-base B-scan function. Move the probe along the workpiece surface, then the cross-sectional profile of the workpiece display, use for observe the underside contour of the workpiece. When remove the probe from workpiece, it could be automatically capture a minimum value of the B-scan image, and indicate the position of the minimum by a red triangle. You can see any point thickness value of the B-scan image by moving the pointer.